Lithium Australia (ASX:LIT) is making plans to drill 35 holes in an area which is subject of a $700 million merger between Galaxy Resources (ASX:GXY) and General Mining Corp (ASX:GMM). LIT is going lithium hunting at its Ravensthorpe project, west of Esperance in WA but just 18 km and along strike from GXY’s Mount Cattlin mine. Mount Cattlin is one of Australia’s largest developed lithium deposits and was the focus of a recently announced merger between GXY and GMM – one of the big mining deals of the year. The deal is an all-scrip deal targeting GMM at about $216 million – but the combined entity will emerge with assets worth $700 million. Location of Lithium Australia’s (ASX:LIT) Ravensthorpe project. The first drill target for LIT is just 18km away from the Mount Cattlin mine, and includes the Horseshoe prospect. During initial fieldwork in April, LIT managed to confirm that there were at least 12 pegmatites present at the project. It has previously outlined an exploration target of 525,000t – 1,281,000t with a grade range of 0.8% – 1.2%. 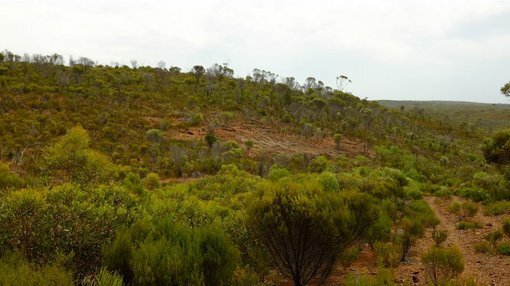 The WA mines department has given the green light for initial site clearance at Ravensthorpe, ahead of a 35 hole drilling campaign – which still needs to be approved. It also granted a permit for bulk sampling at the project, with up to 5000 tonnes given the all-clear. With the corporate activity in the area, LIT couldn’t have picked a better time to start work on an exploration program in the region – its managing director Adrian Griffin said. 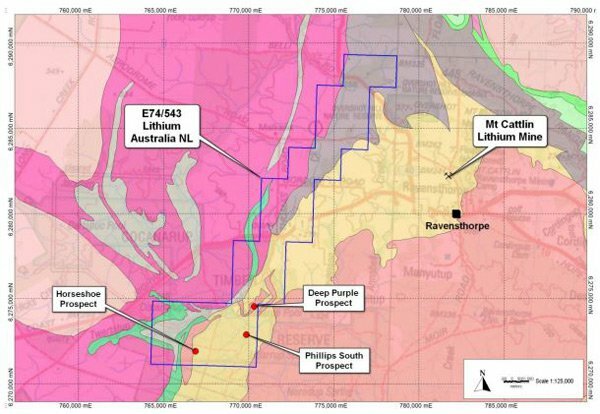 “The abundance of lithium pegmatites at Ravensthorpe, and nearby lithium production, clearly places Lithium Australia at the focus of one of the most promising lithium centres in the world,” he said. LIT has been increasingly active on the upstream side of the business – having reinforced its position in several promising areas including Mexico and Greenbushes, the latter the site of the world’s largest supply of lithium. While LIT remains active in the upstream, it’s downstream where it hopes to truly makes its mark. It is working to prove up its ‘Sileach’ process – a way of processing lower-grade silicate deposits normally considered sub-economic. The Sileach process involves grounding the test ore, digesting it in sulphuric acid, removing impurities and then extracting the lithium carbonate. If LIT is able to prove up the technology, then it could open up a raft of resource which were previously considered too poor to mine.